Future Gallery is pleased to present Black Transparency, a project by the Amsterdam-based design studio Metahaven. Metahaven’s practice entails research, design, and visual journalism engaging in intense relationships with the present. 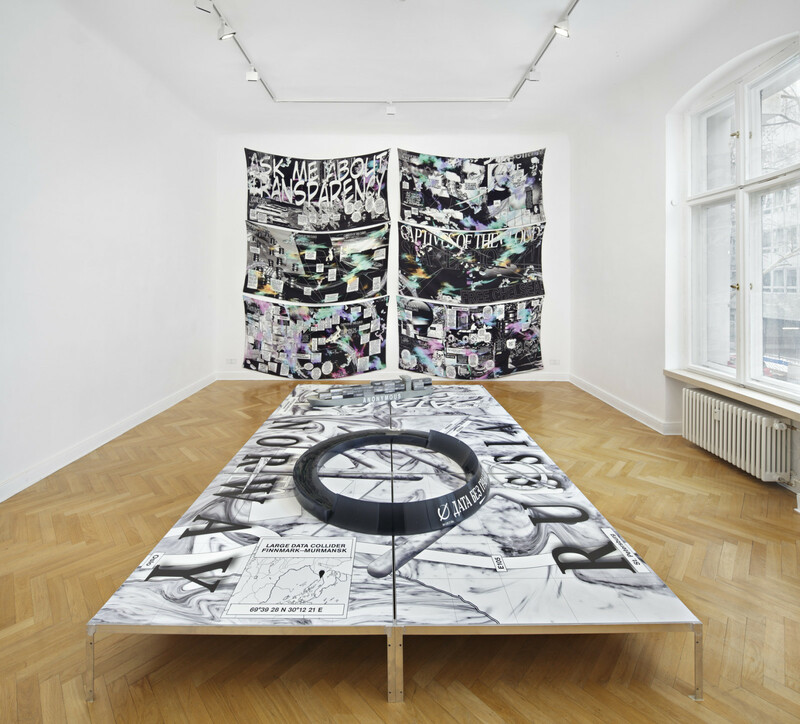 Their presentation at Future Gallery is also the first show at the gallery’s new space at Keithstraße 10, 10787 Berlin. 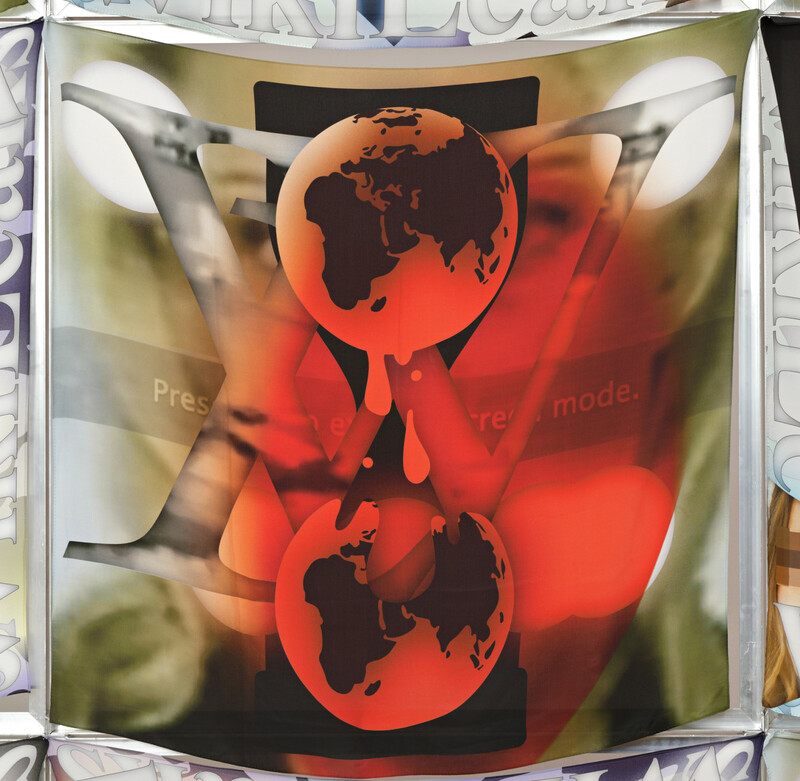 Since mid-2010, Metahaven have undertaken a body of research that revisits the visual identity of the online whistleblowing platform WikiLeaks. 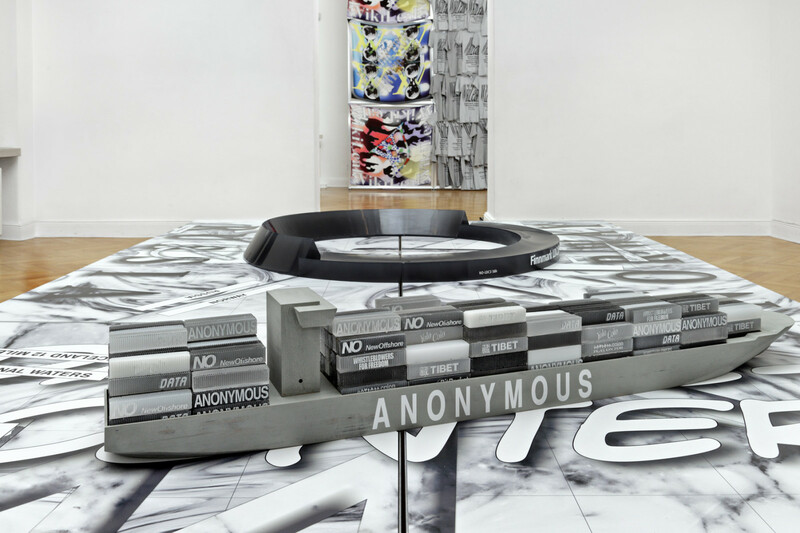 With the nominal consent of its founder Julian Assange, this expansive design project has functioned on several fronts, at the heart of which is an investigation into the politics and aesthetics of transparency. Metahaven have sought to map the relations through which WikiLeaks functions, looking not towards the mechanics of its operations but to the media relations and reputational networks that have sprung up around it. The organization is constituted by a necessary sense of opacity—employed in order to offer anonymity to the whistleblower and abstract the leak from its source—while paradoxically asserting the principle of transparency. 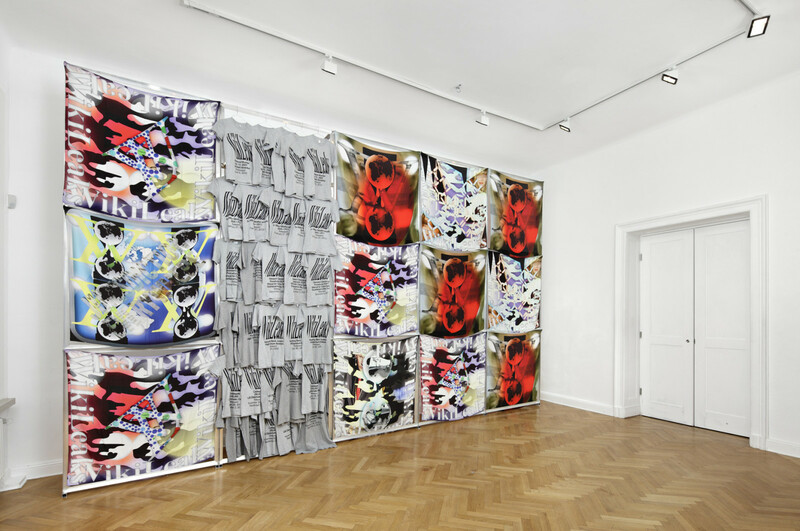 Within a number of propositions for revisions to the WikiLeaks identity, Metahaven references the image economy circulating around the organization, alongside the notion of “transparent camouflage” as both aesthetic gesture and political strategy. 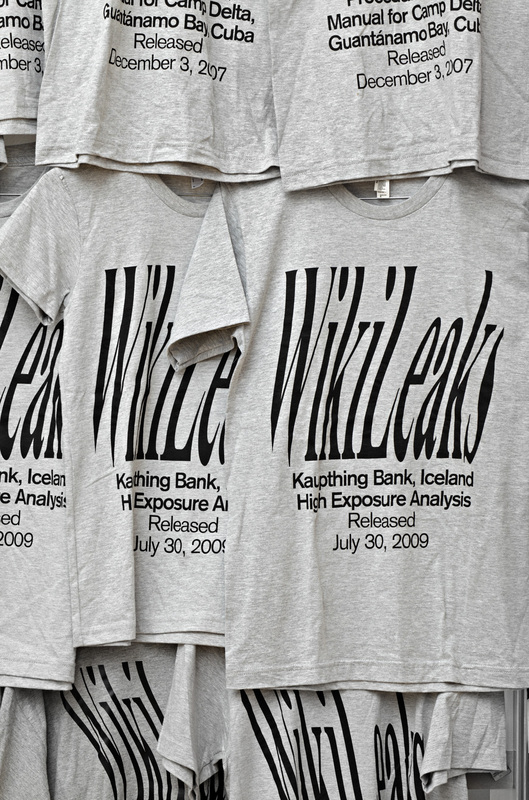 Applying the visual syntax at work in their identity proposals, they have created a series of scarves and t-shirts, sold by WikiLeaks through both online and offline venues. WikiLeaks has been since a few years under a de facto financial embargo by MasterCard, VISA and PayPal, which prevents the site from receiving direct donations. 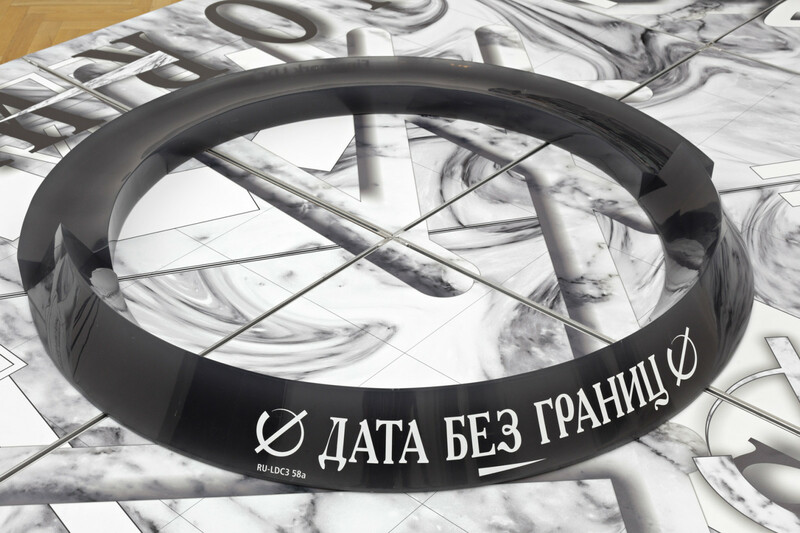 Metahaven’s project functions as a platform for a polemical mode of commercial transaction. The WikiLeaks collaboration has led Metahaven to investigate a phenomenon which it calls “black transparency,” meaning the involuntary transparency invoked on organizations and nation-states by whistleblowers and hackers. Metahaven’s Black Transparency is a nomadic, re-iterating design project as well as a forthcoming book publication with the same title (Sternberg Press, 2014), focusing on the geopolitical aspects of this phenomenon. The appearance and shape of black transparency is always changing to fit the legal and political loopholes of the states and entities whose legitimacy it opposes. It finds temporary homes in jurisdictional enclaves while forming short-lived informational tax havens. Because its architecture depends on acts of evasion, black transparency is not only transparent, but also black. 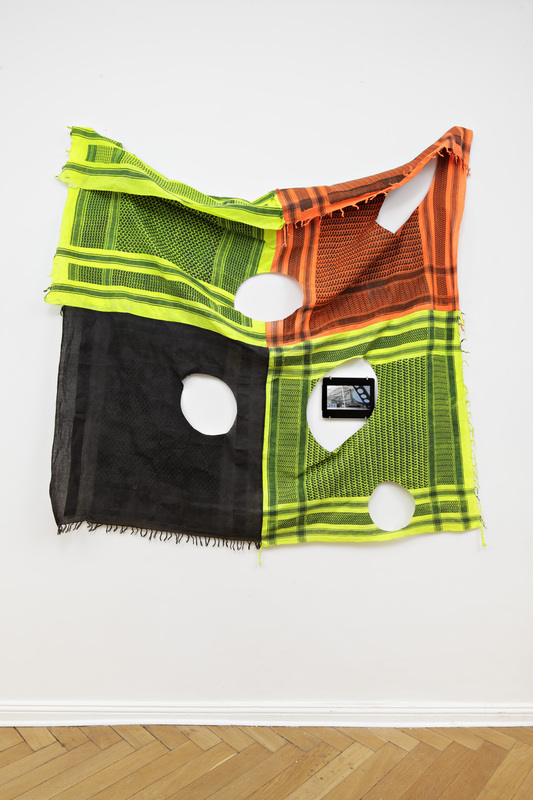 Black Transparency collectively explores and proposes potential designs of these evasive acts, and investigates the political mentality of a densely interconnected population whose principle instrument of freedom—the internet—defines at the same time its ubiquitous subjugation to abstract power. 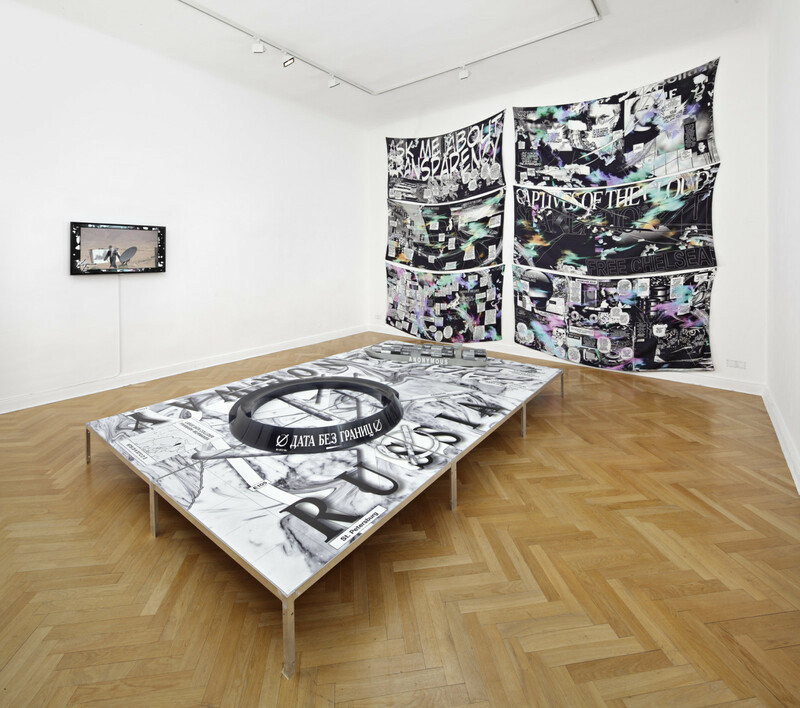 Included in the show is a video manifesto for the current generation of digital nomads; the video combines footage from anti-austerity riots in Athens with imagery from popular culture and of deserts—spaces which Metahaven views, metaphorically and literally, as blank canvases for a more distributed and decentralized network. 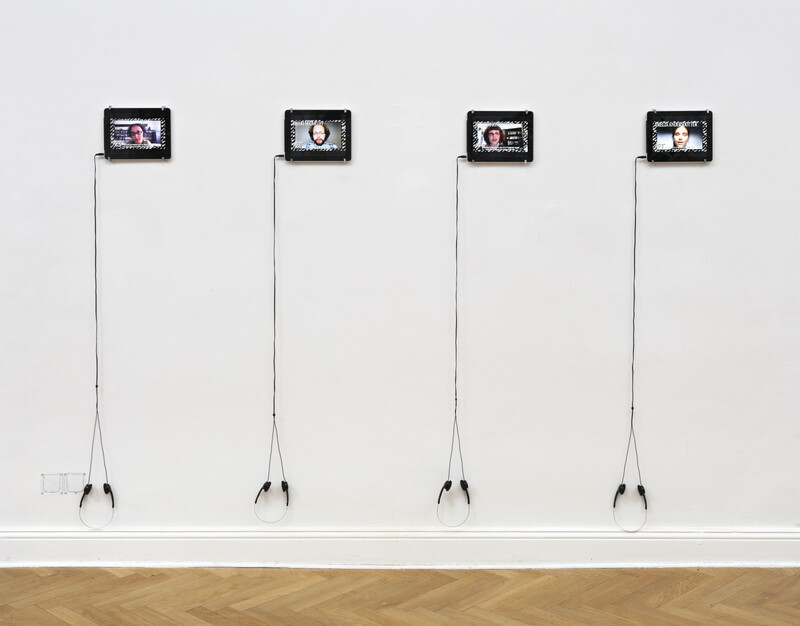 The project presents a series of Skype recorded video interviews with prominent internet activists, politicians, and academics, such as Smári McCarthy, Birgitta Jónsdóttir, Alexa O’Brien, Amelia Andersdotter, and Gabriella Coleman, whose activities with Pirate parties and alternative software practices, lawmaking, and voting models point at both the re-decentralization and re-localization of now abstracted political and technological processes. Black Transparency further comprises of a set of proposals for data hosting in the form of utopian architectural models, one of which is a bedouin tent which will be on display in Future Gallery’s previous venue at Mansteinstraße. 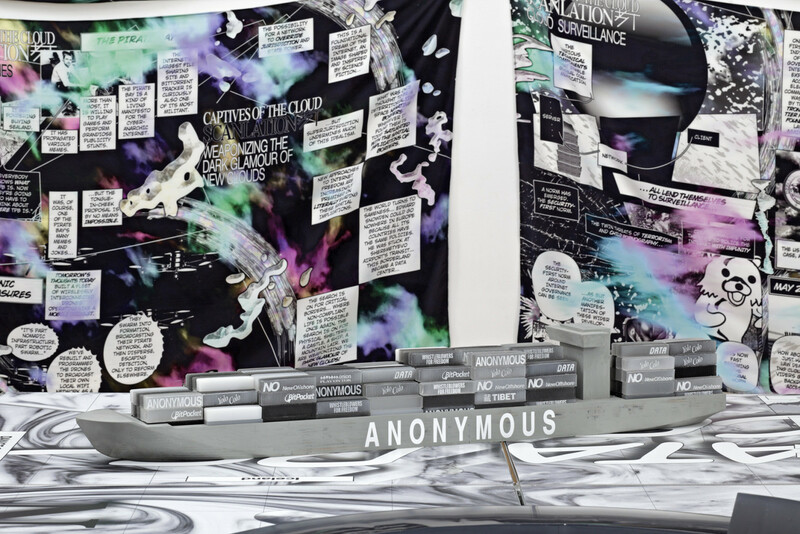 For this show, Metahaven has also teamed up with fashion designer Conny Groenewegen to create a large garment in further pursuit of the connection point between fashion and information. Metahaven, founded by Vinca Kruk (b. Leiden 1980) and Daniel van der Velden (b. Rotterdam 1971), is a research and design studio based in Amsterdam. 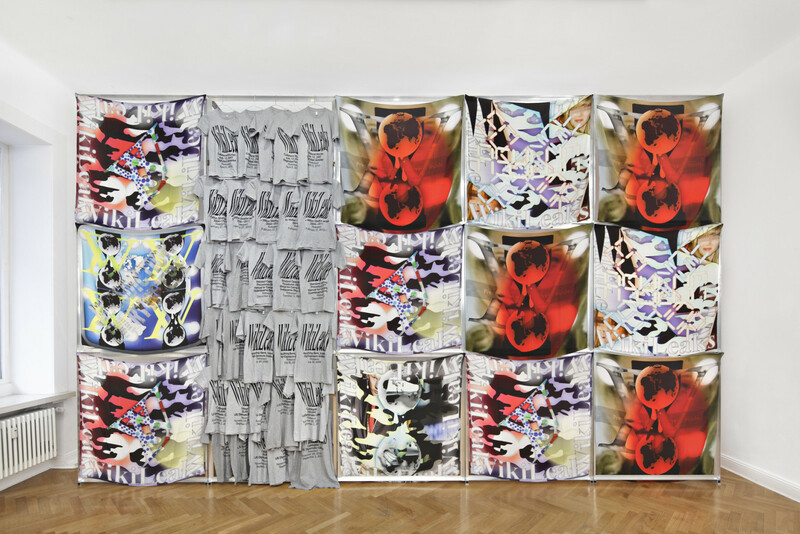 Metahaven’s work—both commissioned and self-directed—reflects political and social issues in collaboratively conceived graphic design objects and media. In addition to international presentation of design and research projects, Metahaven has published numerous essays such as the three-part “Captives of the Cloud`’ series on e-flux journal, Uncorporate Identity, a design anthology for our dystopian age published by Lars Müller in 2010 and co-edited with Marina Vishhmidt, and the e-book Can Jokes Bring Down Governments? released by Strelka Press, 2013. Metahaven presented a keynote lecture on geopolitics and design together with theorist Benjamin Bratton at the 2014 edition of Transmediale. The studio was awarded the CoBRA Art Prize 2013 and the Icon Design Studio of the Year Award 2013 by Icon magazine, London. 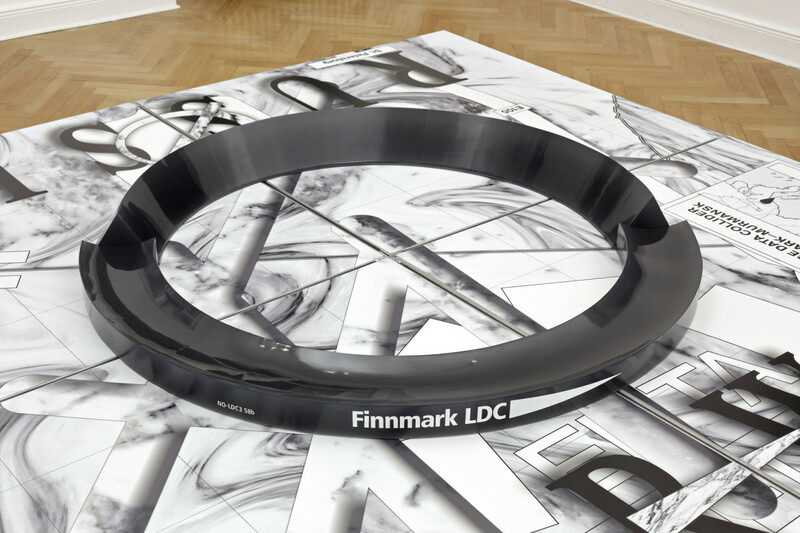 Select exhibitions include Islands in the Cloud, MoMA PS1, New York; Gwangju Design Biennale 2011, Gwangju, Korea; Graphic Design: Now in Production, Walker Art Center, Minneapolis, and Manifesta 8, Murcia, Spain. 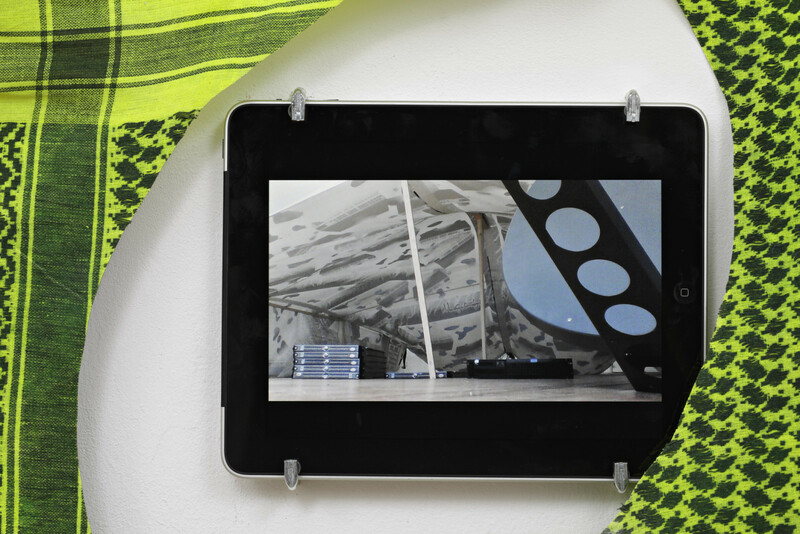 Metahaven’s clients and collaborators include Tensta konsthall in Sweden, RVNG Records in New York, Independent Diplomat in New York, Valiz Publishers in Amsterdam, and LUMA Foundation in Switzerland. A number of works in this exhibition were made possible by a collaboration between Metahaven and Bureau Europa, Maastricht.